The grass isn’t always greener on the other side, in regards to leaving Liverpool. 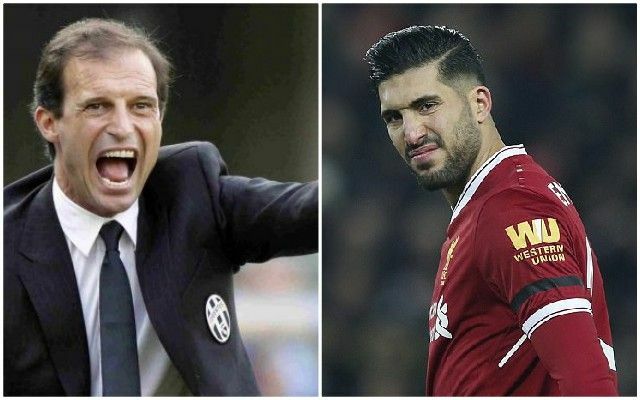 Emre Can had every right to depart the club on a free transfer last summer, both legally and morally, but his debut season in Italy hasn’t exactly gone to plan. Under Massimo Allegri, he’s been predominantly a substitute; making just eight Serie A starts and zero in the Champions League. At the weekend, Can scored an own goal for The Old Lady against Lazio and his manager oddly stated that he shouldn’t have played him in holding midfield – which has always been the German’s favourite position. “It’s my responsibility, as I tried to play with Emre Can in front of the defence and that was a mistake. He doesn’t have the right timing yet, so I put him in a very difficult position,” he said, reported by the Evening Standard. If Can isn’t a no.6, we’re not sure what he is – considering the fact he isn’t especially creative or tactically smart enough to play a box-to-box role. The other first-team player who demanded an exit from Liverpool in 2018 was Coutinho of course – and the Brazilian is similarly struggling with life at Barcelona. His form is poor and there’s been plenty of rumours that he’ll depart the club who paid us £142m for his services. Meanwhile at Anfield, Jurgen Klopp’s Reds are four points clear at the top of the Premier League table and in the Last 16 of the Champions League. We hope Can and Coutinho do well in their respective careers on the continent, but their departures have left no wounds.